Mobile World Conference 2015 held in Barcelona had some very interesting and impressive gadgets on exhibition. Overshadowed by the blockbuster announcements from Samsung and HTC, these devices were rarely featured in tech articles. Here are few awe-inspiring gizmos that appeared at MWC 2015. The Chinese company took center stage to announce their smart watch and took everyone by surprise. The “Huawei Watch” they unveiled was a true masterpiece and is being pegged as the best Android Smartwatch yet. However, when the pricing was released, the excitement dampened. 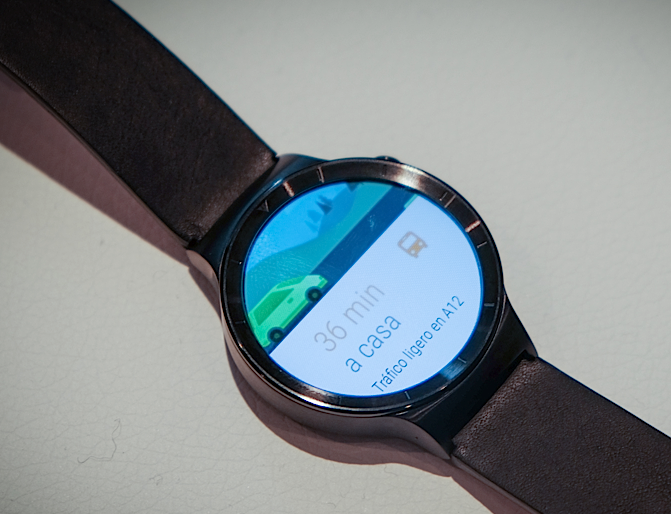 The Android Wear gadget will cost you a whooping $1000, more expensive than iPhone 6. Xiaomi continues to impressive everyone with some really cool gadgets. The Chinese manufacturer showed off its Go-Pro category Action Camera called Yi. Although the device was matching Go-Pro on paper, its price is significantly lower. Xiaomi Yi will cost you $84 compared to the lowest price Go Pro at $130. This phone is a Camera oriented device from Lenovo with 16MP BSI sensor with optical image stabilization, tri-color LED flash, and six-element lens with sapphire coating. Sleek in design (7.3 mm thick) and with considerable Processing power, Lenovo Vibeshot was definitely an eye-catcher. Getting wasted and ending up in regrettable photos is embarrassment enough but the worst part is getting tagged in them on Social Media. Saving your esteem is AVG’s invisibility glass which uses LED lighting and retro-reflective materials on the spectacles to counter facial recognition. It is still a prototype but is bound to attract a gentry. This scanner, made by SCiO, is a futuristic piece of tech. 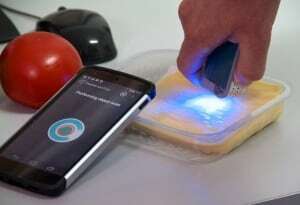 Connected to smartphone via a bluetooth connection, this handheld scanner analyzes a material and tells you what it is. Pretty Amazing! Starting out with kinds of fruit, the nutritional content of cheese and verifying vitamins, SCiO hopes to turn it into portable spectrometer.